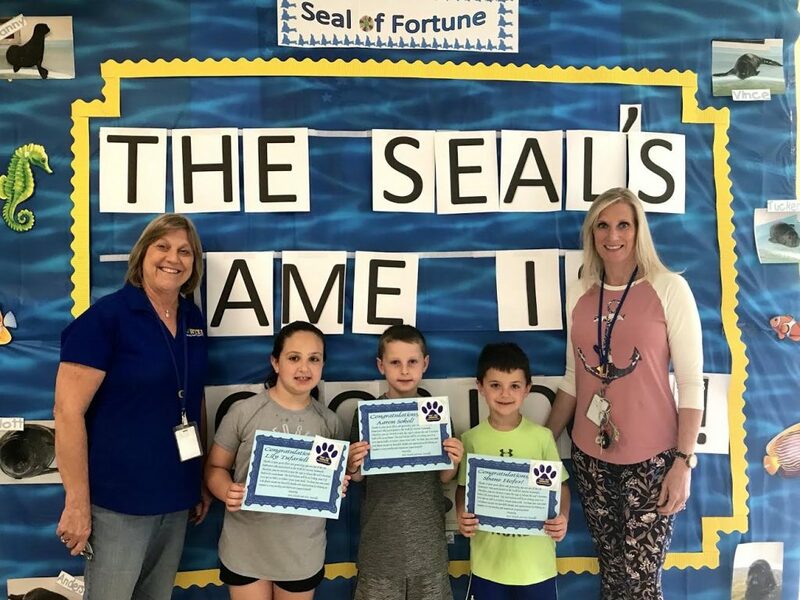 West Islip’s Manetuck Elementary School again sponsored a fundraiser for the Riverhead Foundation’s work in rehabilitating injured seals. Guided by teachers Kerri Ierardi and Sue Marullo, who run the school’s Community Service Club, students walked in the bus circle to raise $2,900 for this year’s sponsored seal, named Victorious. 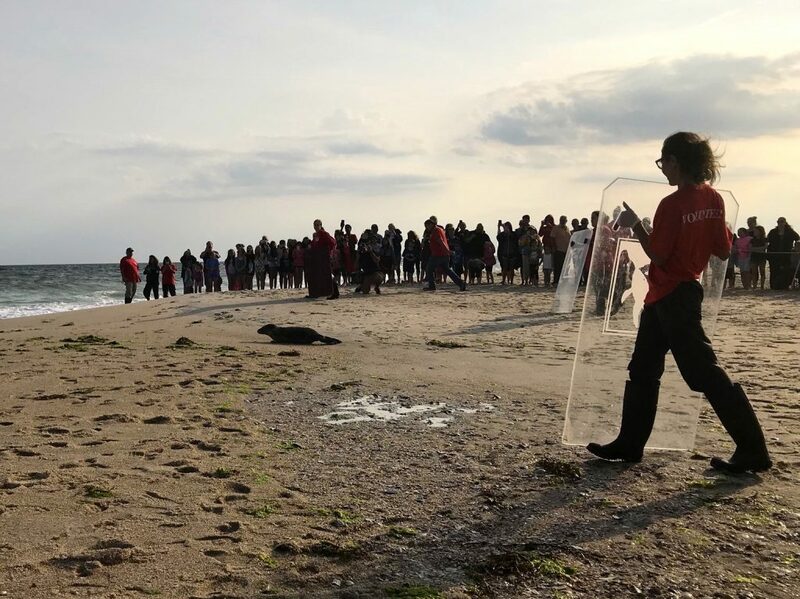 The top three student fundraisers were first-grader Shane Hofer and second-graders Aaron Sokol and Lily Tufariello, earning them the right to open the cage for the seal’s release into the ocean at Robert Moses State Park, an event attended by hundreds of students and parents. 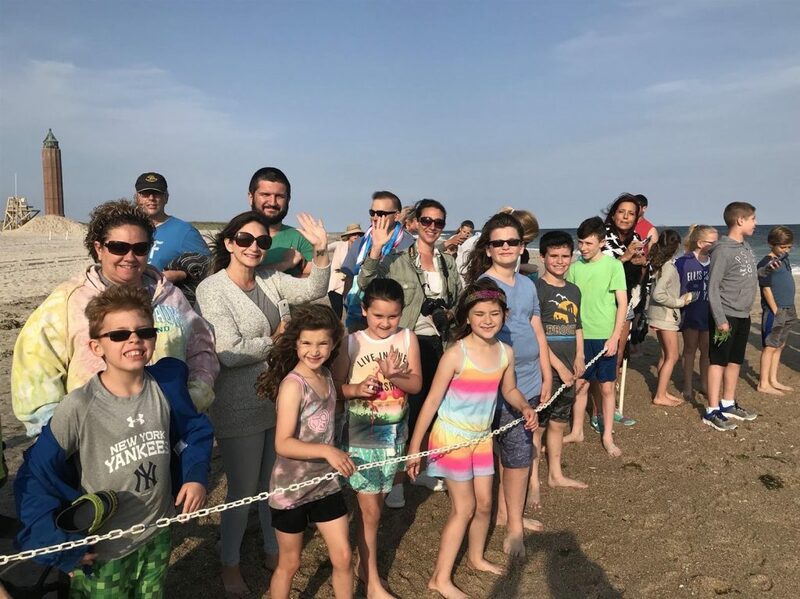 Manetuck Seal Release 1: teachers Kerri Ierardi and Sue Marullo with top Riverhead Foundation seal release fundraisers Lily Tufariello, Aaron Sokol and Shane Hofer.